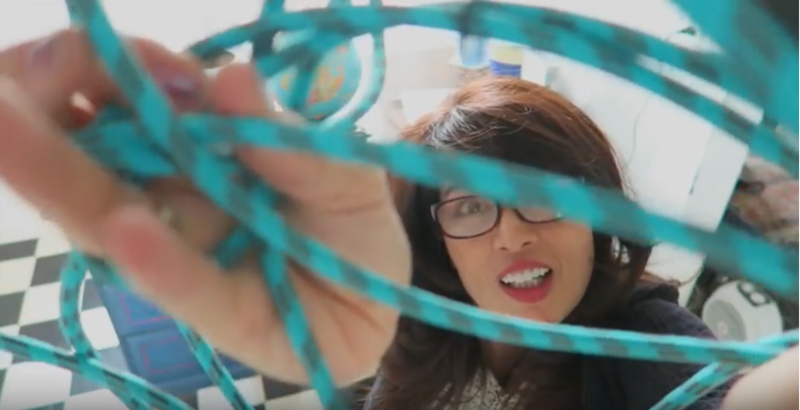 **I’ve done extensive quality and cost research on supplies and products that I have needed to buy to complete my DIY projects on YOUTUBE. For a complete list of all my Amazon Favorite tools and supplies that I recommend and use for all my DIY projects, click the link HERE. For a more detailed description of how to complete this project, please watch my video on YouTube. 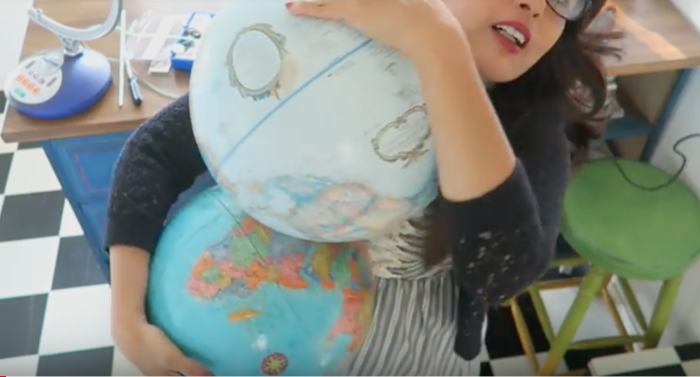 I found a few old vintage looking globes at my local thrift store for $10.00 each. First, remove all external hardware from my globes to make it bare. *It may be necessary to use a screwdriver or other tools to help you. 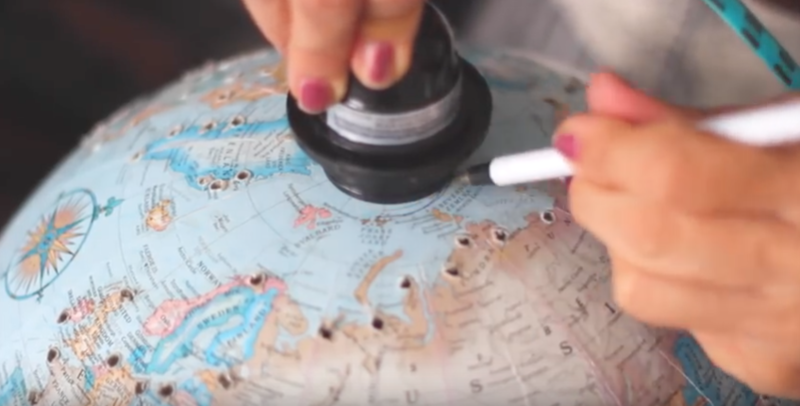 Next, create a hole at the bottom of your globe, by using either a dremel tool or an Exacto knife. The latitude lines are very useful as a guide for this particular cut. *Make sure to wear safety glass when using the dremel to protect you from any dust. 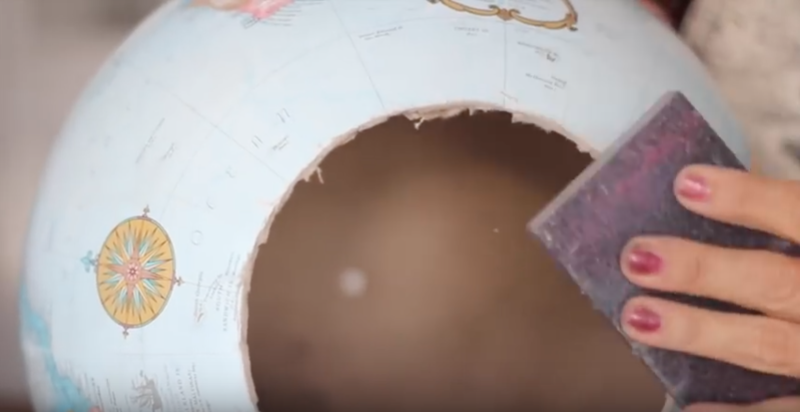 Remove cut-out and sand down the edges using sand paper or a sanding sponge. 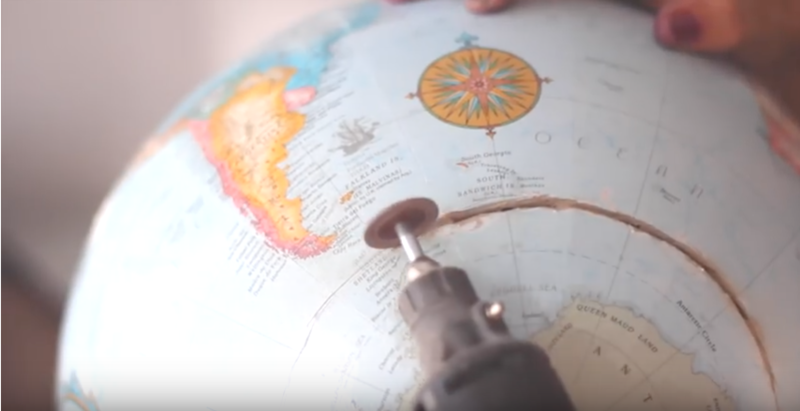 Using a Drill Gun and a small drill bit, the size of a tooth pick, begin drilling holes all over the globe. Be sure to use a firm grip. I decided to outline all the continents in my project. There are many different versions of this project. 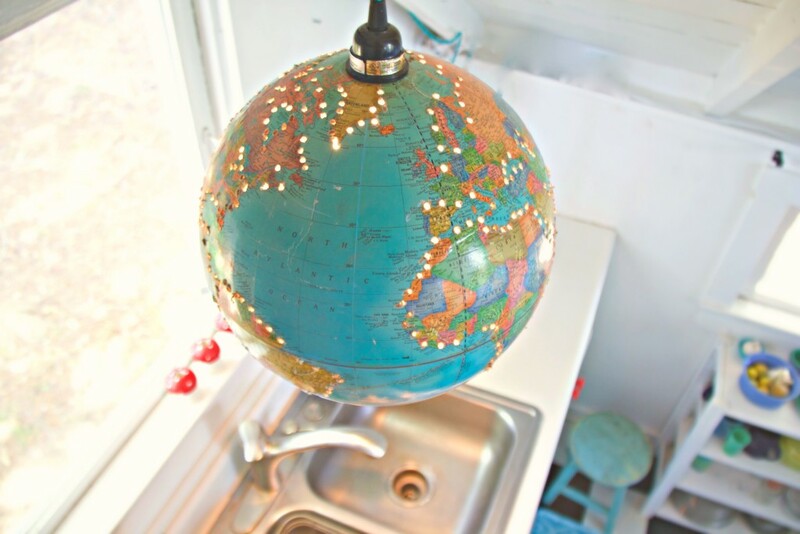 To view some of my favorites, be sure to check out my “Recycled Globe Pinterest Board”. 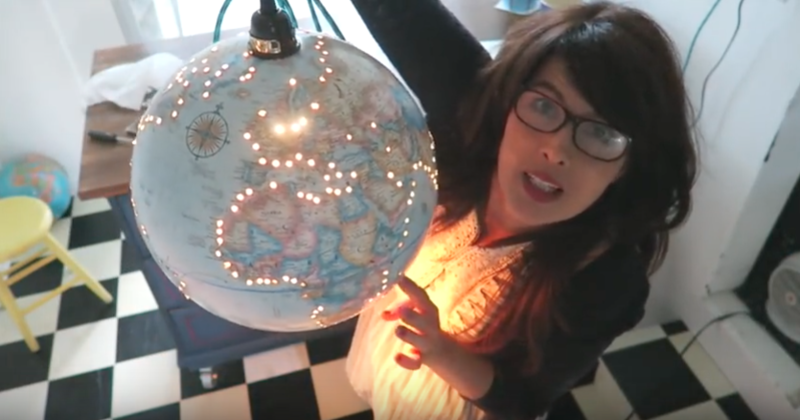 Next you’ll get your lighting chord out and ready for insertion into the globe. I ordered mine from colorchord.com. They had a wide variety of colors that look very vintage. 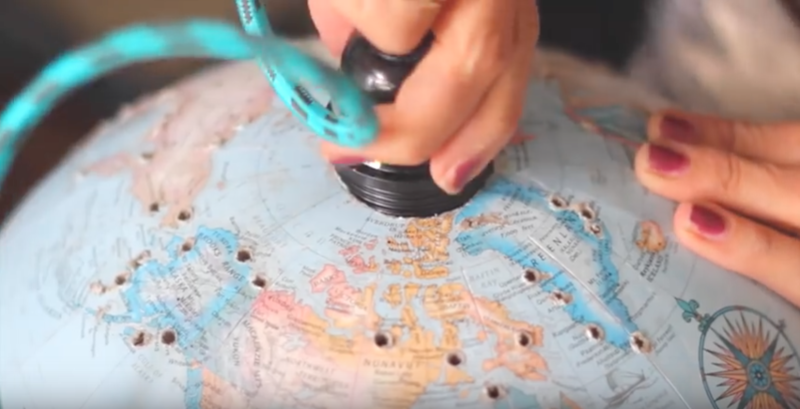 Next, find the North Pole on your globe and center your lighting device over it. Then draw an outline around the socket and cut out the hole using the exacto knife. Then thread the socket in through the hole and screw in the light bulb through the other end. *Always remember to use the advice of an electrician before attempting projects involving electricity to determine safe wattages to use or any other safety concerns. 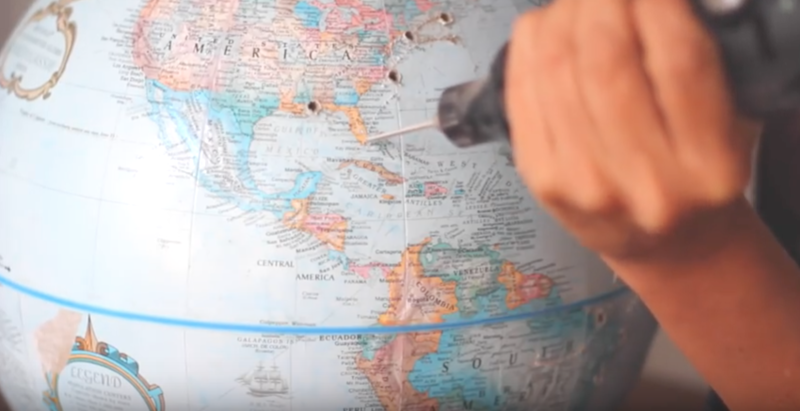 Let me know, in the comments below, if you have ever done a project similar to this and how it went and whether or not you believe the world is flat or round.